The quality and consistency of LifeBUILDERS’ work has inspired many to invest in us, and our work here in Regent Park. Residents have decided to stay. The vacancy rate is decreasing. There is far less blight. The community is seeing greater involvement by residents. Realtors are referring to “a newly redeveloped park nearby” as part of this neighborhood’s amenities. The park in the center of Regent Park was restored through LifeBUILDERS’ work. This summer, the work will be completed and that park will come to life as it was 20 years ago. Our task is to maintain that momentum we've begun and encourage a “zero” tolerance for anything sub-standard that reflects a lack of respect for our tenants and the community in general. We delight in the City’s new enforcement policy on landlords because we take pride in the work that we’ve done to raise the standard over the past 12 years. We know it will not be easy and it will take time to enforce these standards on those who don’t believe in supporting the community, and the people who live here, the way we do. All of these efforts are worth it when we see families coming together in safe homes in Detroit once again. The Bible says, “do not grow weary in doing good” and “do all of your work as unto the Lord.” With the help of the Lord, we are doing just that. We are pressing on. We ask you to join us with your prayer, your financial support, and your involvement. 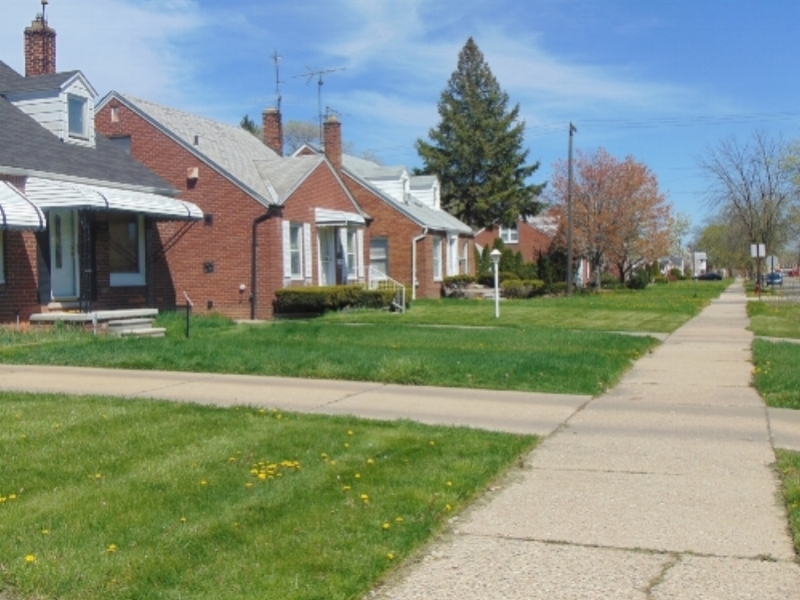 When you read stories about unsettling rental conditions in Detroit, and you feel little hope for our City, tell people about what’s happening here in this Detroit neighborhood. We are raising a standard of hope. We’ve done this work with little fanfare and have decided to continue at a manageable pace, giving God all the glory. Our main focus will continue to be on the children and families of the Regent Park community as dignity is restored and hope is revived. Stay tuned for more information about our Summer Day Camps. We will be announcing tangible ways to offer your prayer support to nearly 150 kids, counselors and volunteers this summer. If you’re not following us on Facebook or Instagram, that’s another great way to connect with LifeBUILDERS and see photos and updates throughout the year. Our main focus will continue to be on the children and families of the Regent Park community as dignity is restored and hope is revived.